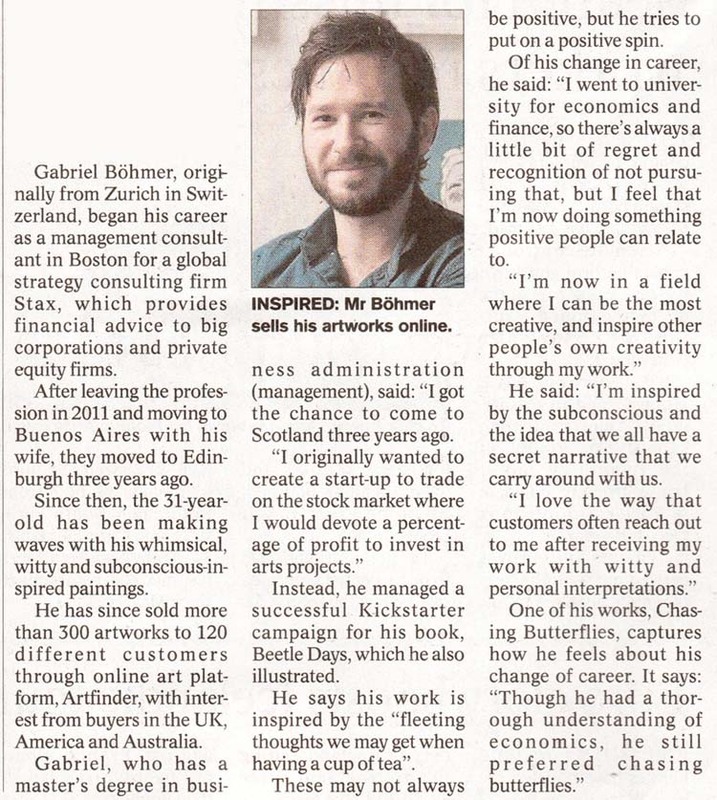 Originally from Zurich, Gabriel Böhmer is a London based artist interested in memory, and dreams. His pieces draw on fleeting thoughts to build a narrative of the subconscious. Using minimal imagery and writing his work is often humorous, sometimes tragic, and always approaching the absurd. Please send an email if you'd like to inquire about an artwork's availability. Pieces are also available through Artfinder, and Saatchi Art.